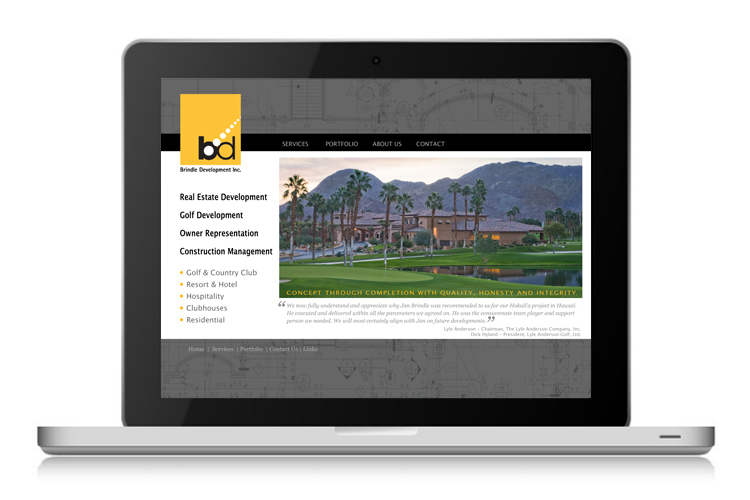 On the web, a website is a living entity — nothing else is as crucial to your brand. Your site delivers your message, sells your goods, and lets you talk to your customers or members. When creating a website, we work closely with our clients, analyzing their needs and organizing their content so that the site excels at all its tasks. 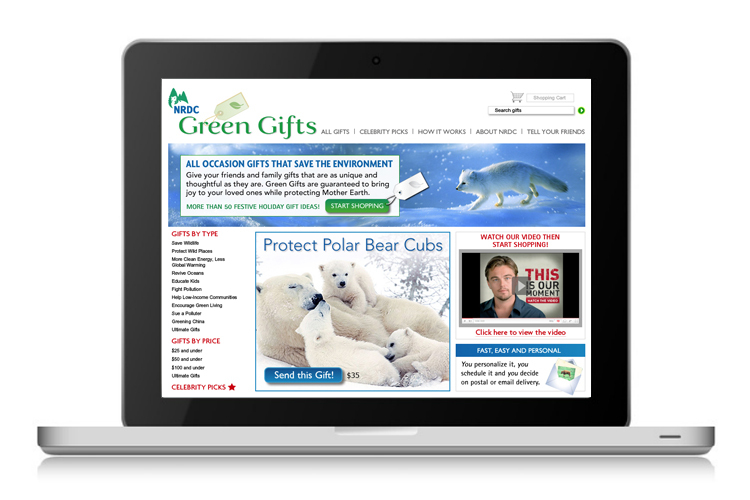 The Natural Resources Defense Council’s “Green Gifts” homepage works multiple calls to action into a sparkly seasonal design. 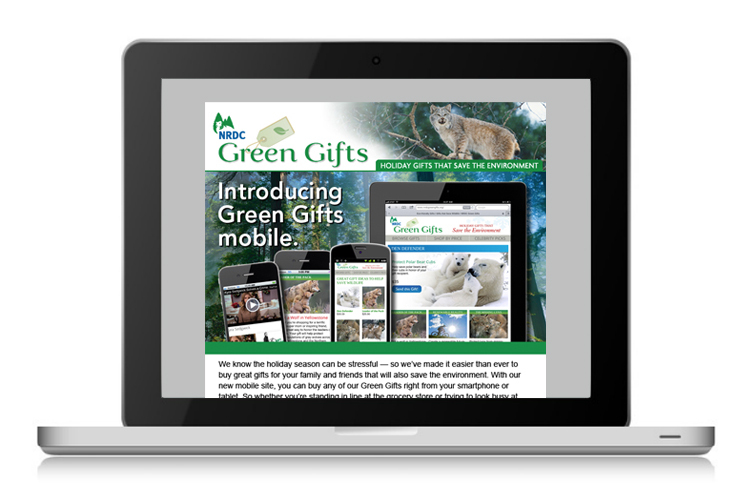 The home page is friendly and accessible which engages viewers with the site and illustrates simply how their gifts will help save wildlands and wildlife. 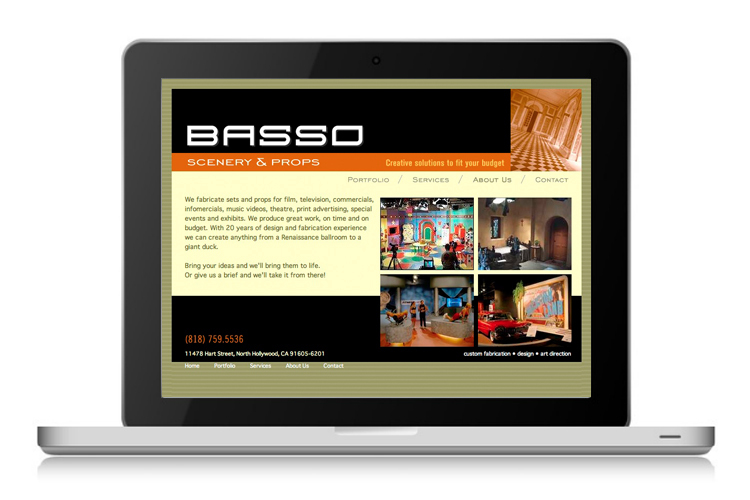 Basso Scenery & Props wanted a portfolio website that would be easy for set designers and prop masters to use. The sleek design and color photos showcase the company’s products and services. Lawsuits are expensive and confusing. 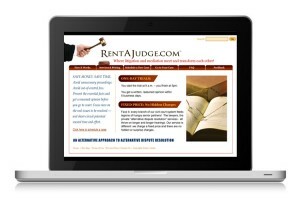 RentAJudge.com is affordable and easy, and that’s what their website had to communicate. The homepage clearly explains the service, how fees are structured, and how long it takes — all on one uncluttered screen that underscores the straightforward approach of RentAJudge . 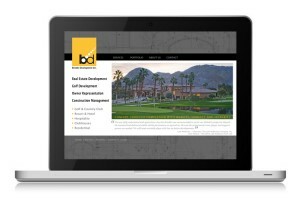 Brindle Development requested a website that would emphasize the scope of its capabilities in large project management. A charcoal-hued blueprint background stresses Brindle’s close collaboration with architects and developers, while beautiful color photos of their projects compel viewers to click and see more. 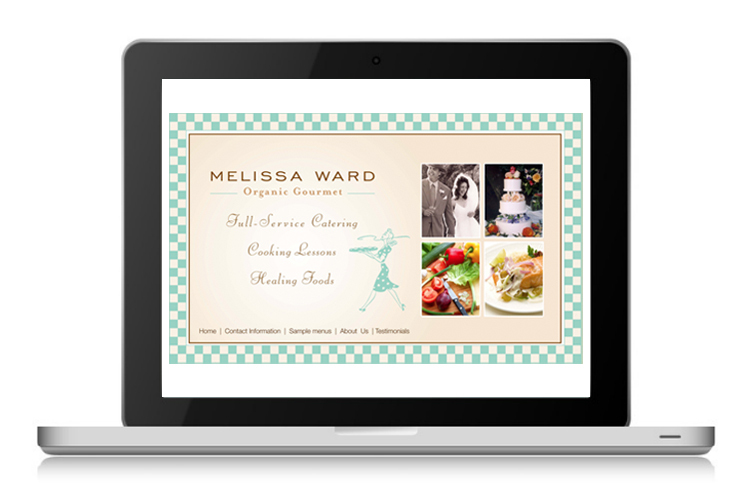 Delectable, approachable, a little bit retro — Chef Melissa Ward wanted a website that reflected her company’s personality. The checkerboard design and feminine fonts are as inviting as the delicious gourmet organic dishes in the photos. 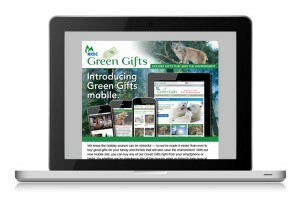 Email campaign for the Natural Resources Defense Council’s “Green Gifts” rollout to mobile platforms. 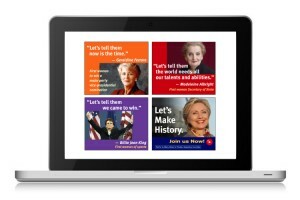 Groundbreaking female leaders urge viewers to vote for Hilary (last time around!) 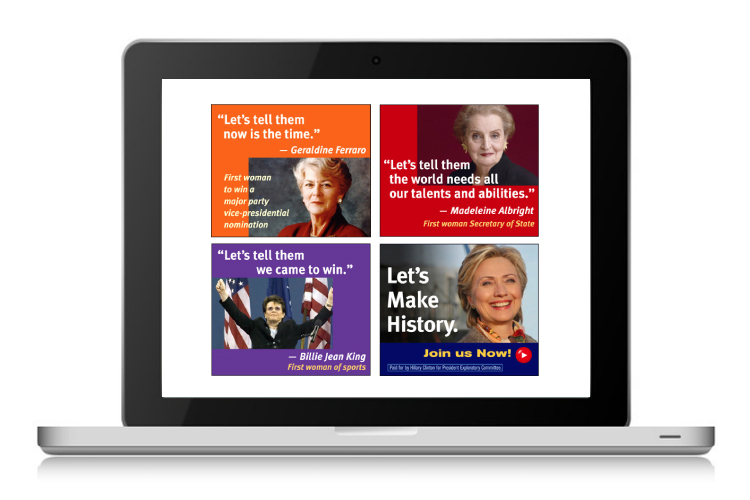 in this animated online banner ad – one of a series. Click on the large image to see it in action. 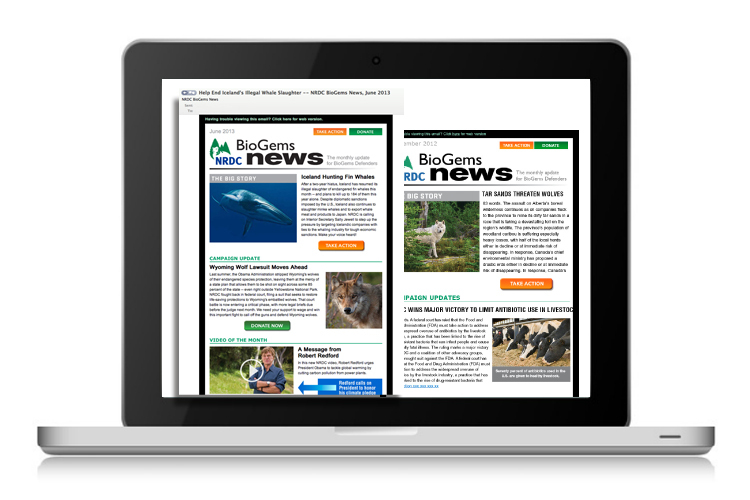 Digital newsletters — like these two examples of the NRDC’s “BioGems News” — offer multiple calls to action, videos, and updates on the organization’s most urgent issues. 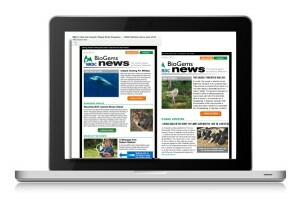 We designed it to be compelling, lively and easy to read.